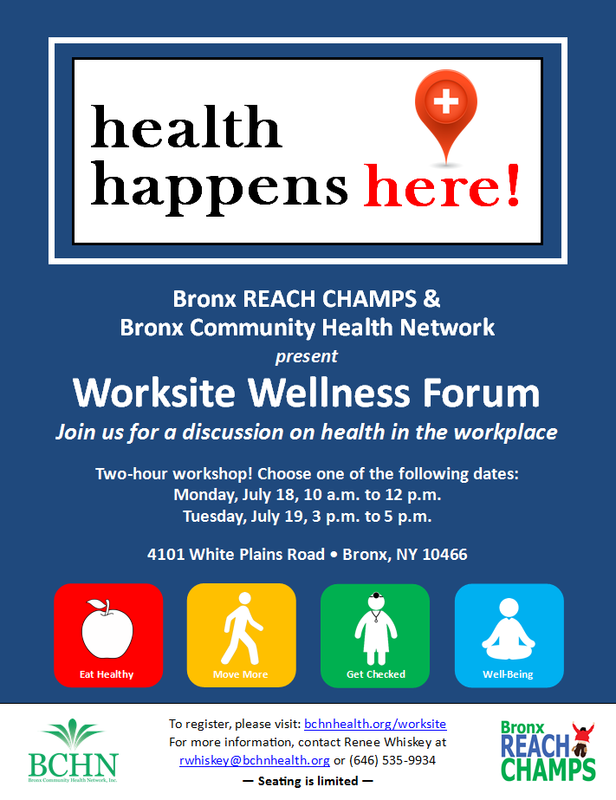 Bronx REACH CHAMPS at Bronx Community Health Network, Inc. invites you to join us at our Worksite Wellness Forum for a discussion on how to become a Health Champion at your work place. To register, please visit: http://bchnhealth.org/worksite. *Special focus on organizations located in zip codes: 10457, 10458, 10466, 10467, 10468, 10469, 10470, and 10473.